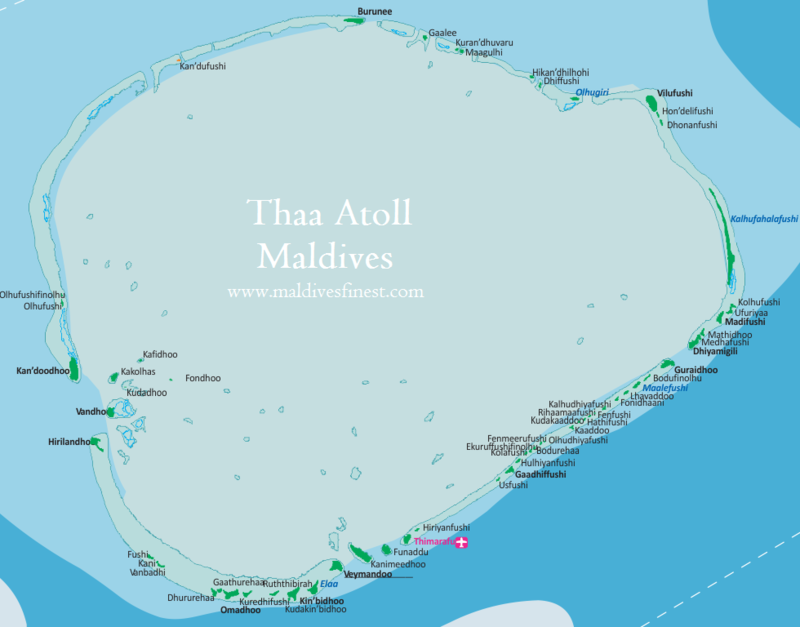 Located south of Dhaalu and Meemu Atoll, Thaa Atoll ends the double chain geographical formation into a single line. This atoll is also known as Kolhuvadulu which literally means end of archipelago. Domestic airport at local island of Thimarafushi serves to whole atoll, including the resorts.